There are endless amounts of benefits of practicing yoga. I think one of the most confusing thing for people is understanding the difference between yoga and exercise, and that progression in practice does not mean progression in advanced postures. 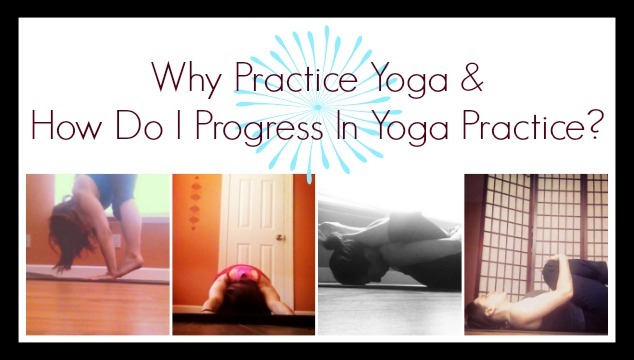 What Does Progression In Yoga Asana Practice Really Mean? I made sure to use the words, asana practice because yoga is a 24/7 practice of awareness, consciousness, and unconditional love. It should be taken off the mat, and into our every action and thought. When we practice yoga postures, we’re actually using the physical body to understand what is going on internally on a spiritual level. Progression in practice doesn’t have to do with how deep you can get into postures, if you can stick your leg behind your head, or how long you can hold a handstand. It is inevitable that if you practice long enough and challenge yourself, that stuff will come, but think of it more like a side effect of consistent practice. 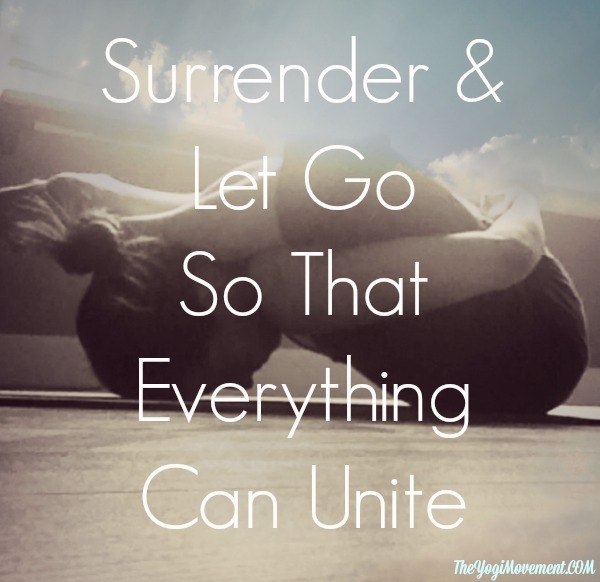 The commitment to a consistent yoga practice will create humility, compassion, patience, and a sense of stillness in the mind that grows over a long period of time. It grows slowly, which is something that is hard for people to understand or accept. When you can accept the irony that yoga is not about postures at all, then the frustration due to the physical abilities will start to fall away. It is important to push the limits and challenge yourself in yoga practice, but that does not mean creating pain or hurting yourself. It also does not mean pushing yourself to the point of exhaustion. It is a balance of firm yet relaxed, which is stated in yoga sutra 2.46. 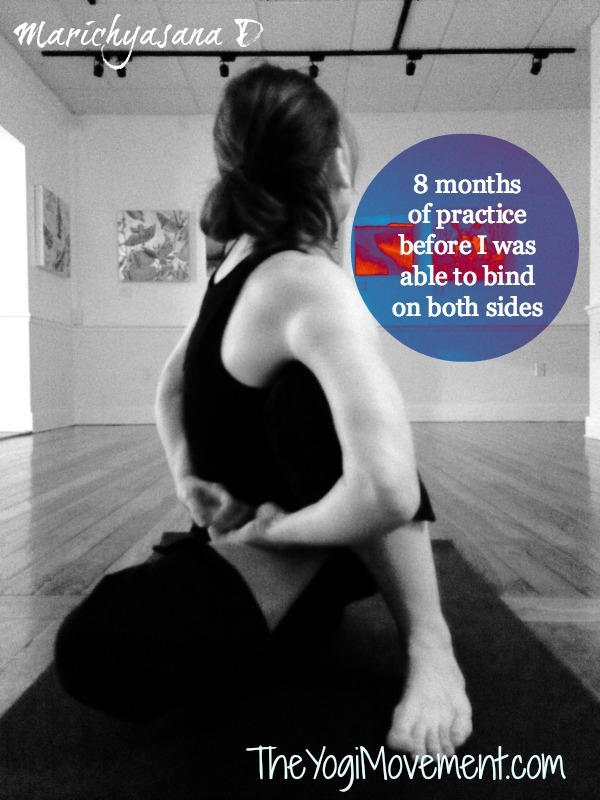 How can you perform that really difficult posture while finding a steady breath? 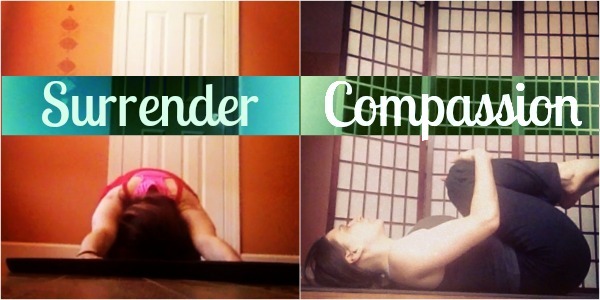 How can you find space in your spine in a deep backbend? 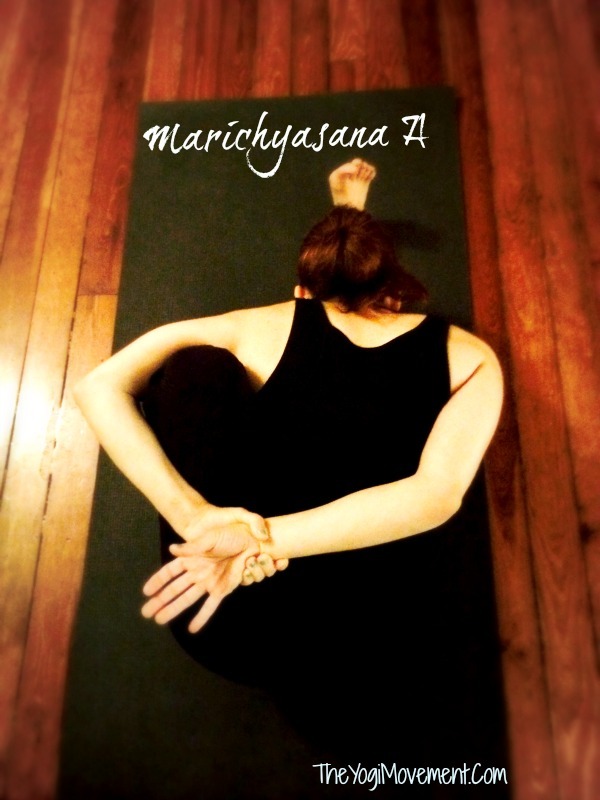 How can you deepen your breath in a constricting Marichyasana A? Accept that your body is different everyday, and that going deeper in a posture will come when something clicks internally, no matter how many YouTube videos you watch! 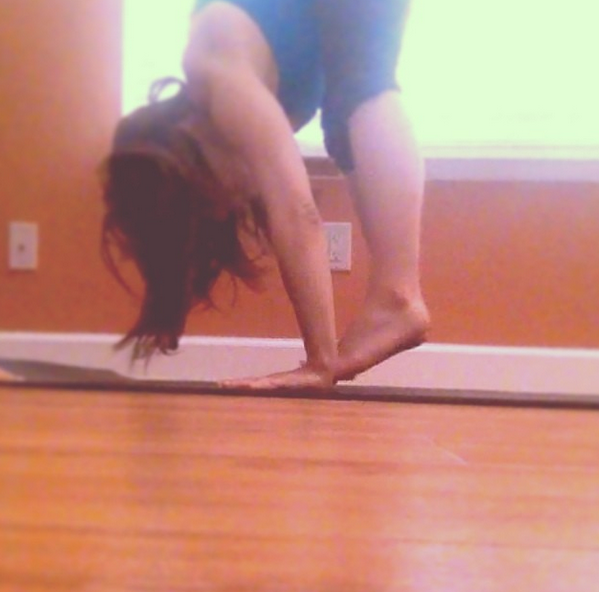 I was told by a senior teacher that my arms were too short to do Supta Kurmasana (below). It took me two years, but it happened. Don’t let the opinions of others be an obstacle. Keep BELIEVING in yourself and you will see that anything is possible…. Some days you might have a little extra energy to push the limits and try something new…. Some days you might feel so heavy that you’re only able to do this…. 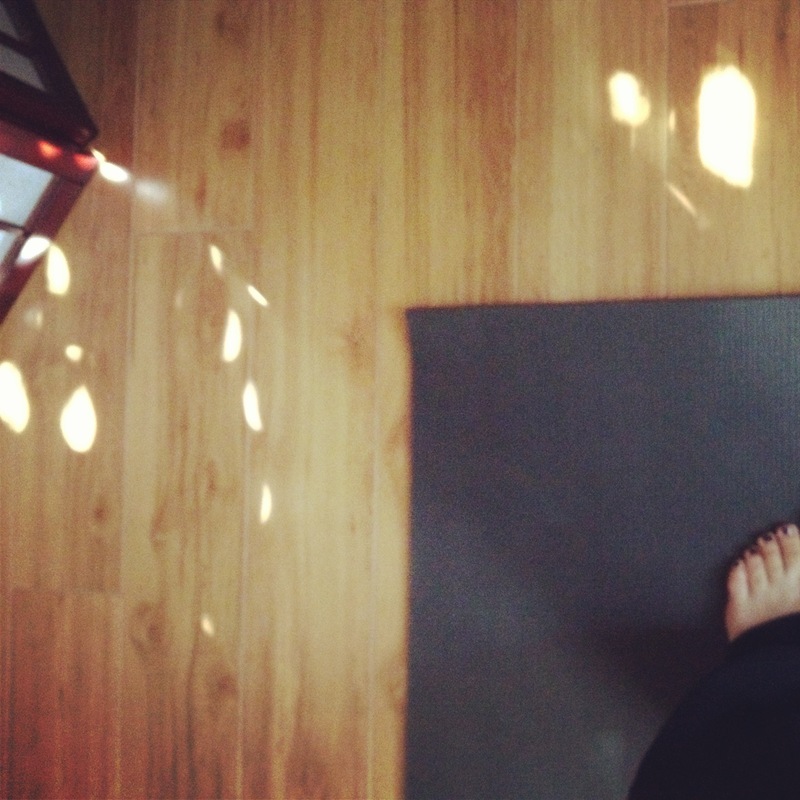 The intensity of just rolling out the mat might be just as intense and challenging as Kapotasana was the day before. 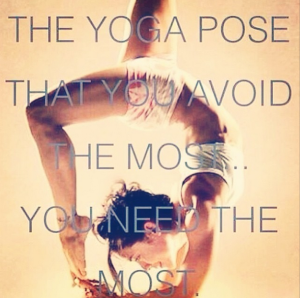 Remember that exploring the limits and the challenges is the yoga. When you do not feel like doing a posture, that is when you need it the most, even if you just do it in its most basic form. If you skip around, then you are avoiding something, and giving into your own strengths and weaknesses. Look past the excuses, and then all of this prana & energy that you create in your asana practice will benefit how you react to difficult situations and avoidance in other areas of your life. You’ll become empowered, stronger, happier, and confident inside and out. Just do your best, and treat yourself with compassion.